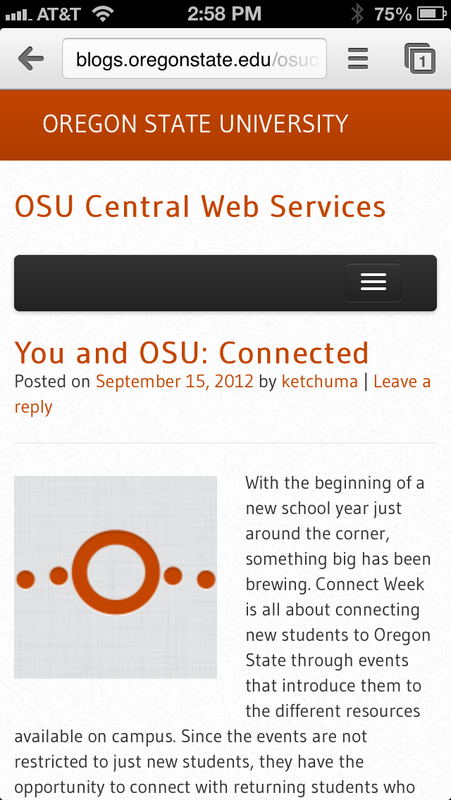 We have rolled out a new blog theme which is named OSU Responsive. Why Responsive? Responsive really means responsive web design. The goal behind responsive web design is to have the design of a given web page be adjusted dependent on the size of the screen. So on a phone, the look and feel changes to be more of a mobile experience where reading a full web page doesn’t necessarily make sense. The theme is a two column theme, with only a main sidebar, and the bottom contact area as available areas to put widgets in. Remember, not all widgets will look good in different areas so you will have to see what works and doesn’t. Who can use OSU Responsive? Responsive is available for everyone, however, there are some things to note. The use of the OSU logo or tag is restricted to certain use. The theme will display the tag or not based on the Organization Type as specified by the table below. Student Organizations are governed by the policies of Student Leadership and Involvement. If you are a student group and do not know which type of organization you are, please visit the Student Leadership and Involvement site. What do you need to do to use it? 1. If you are switching over from an existing theme, and you switch it immediately, it might seem that your site is broken in layout. It isn’t. It is simply that the widgets need to be removed and put back into the areas available for it. So we recommend first removing all the widgets in use from the sidebars. 2. 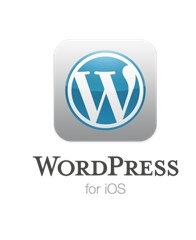 Go to Appearance -> Themes in your WordPress dashboard, and select the OSU Responsive theme. 3. Put your widgets back into the sidebar. 4. Deactivate the Sociable Skyscraper plugin if you are using it. Use of this inserts a thin horizontal line and makes the theme look broken. Go to Skyscraper Options in the Select Sociable Plugin expanded menu to deactivate. And that’s it. Good blogging to you all. 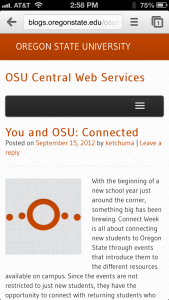 As part of the OSU Responsive use, the use of a different background image or color must adhere to OSU’s policies regarding Accessibility and Brand. Any failure to do so may cause your blog to be disabled. The net takeaway here is don’t change it if you don’t understand the policies, which is why we at Central Web Services, take care of these things for you in creating the default theme. However, do remember within your articles, accessibility policies still apply if this is used in any official capacity for students, staff, or faculty or OSU. Posted in All the Other Stuff, Blogs.